I know that Christmas isn’t here yet, but I wanted to give you some time to prepare for your January first resolutions. Our resolutions tend to stick more when we are intentional about them and we prepare ahead of time. This will help them stick longer and maybe even develop into good habits! I want to challenge you to make 2015 the year you really get confident in your ability to hear God’s voice in your own life. How much more productive and successful in every way would your year be if you could hear Him clearly? The first place to start when learning to hear God speak is through journaling. 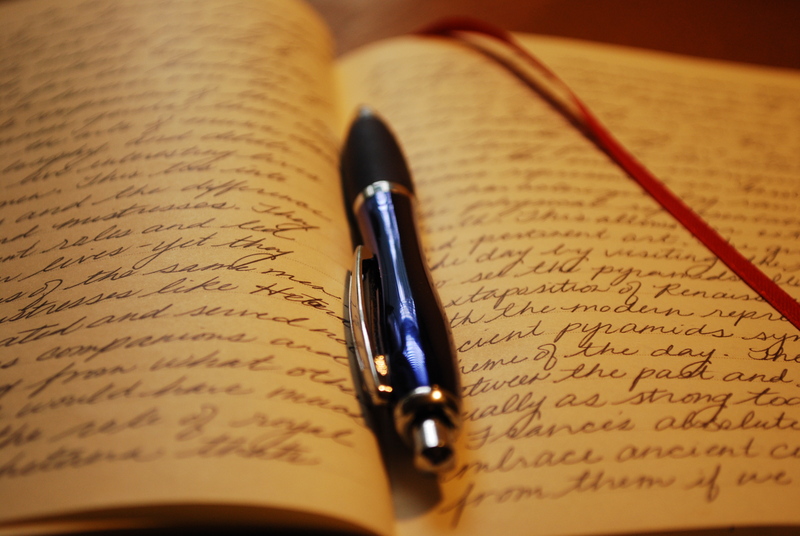 For some, journaling comes easy and for others it is a challenge. Buy yourself a real spiral bound journal or notebook, or create a word document on your computer that you can save as “My Prayer Journal.” Either method will work as long as you have a place to go to journal your thoughts and prayers. Journaling is what helped me gain confidence that I hear His voice and I’m certain it will help you too. Then, see if you can imagine what He might say to you. This might feel awkward at first. Allow yourself to feel awkward. Don’t rush it. Write a response to yourself from Jesus and don’t think too hard about what you are writing. What would Jesus say to you to encourage you? What would He say about the needs you have brought to Him? What does Jesus say about your future? Remember, you’re just learning how to hear Him. Allow yourself permission to feel awkward. As you’re priming the pump and thinking on these things, He is able to speak into your thoughts. You have to trust that what He promised is true. His sheep hear His voice and they know Him. He has sealed you with the Holy Spirit. The Holy Spirit is within you and can and does speak to you in your thoughts. Write whatever comes to your mind. Know that it is acceptable if some of what you write is from you and not from God. This is practice. It doesn’t have to be perfect and it doesn’t have to be shared with anyone. God is not sitting up on His throne ready to strike you if you get it wrong. Jesus’ job is to point us to the Father and to help us by covering our shortcomings. God looks at us through His son Jesus, and all has been made right through Him. Jesus is a loving, encouraging Shepherd who is excited that you are trying to hear His voice. It may take time for you to develop confidence that you are really hearing God rather than making it up in your head, so just know that ahead of time. And as you journal every day from God’s perspective to you, be brave to write things that you aren’t sure are from Him. Usually when you go back and read what you have written you’ll be amazed to see God’s voice really did speak. Over time you’ll be able to see that the things you are writing down from him are true. You’ll have more confidence that He really is speaking to you and you’ll feel better about your own ability to hear Him. And then journaling can become a way that you use to personally hear God when you need to. 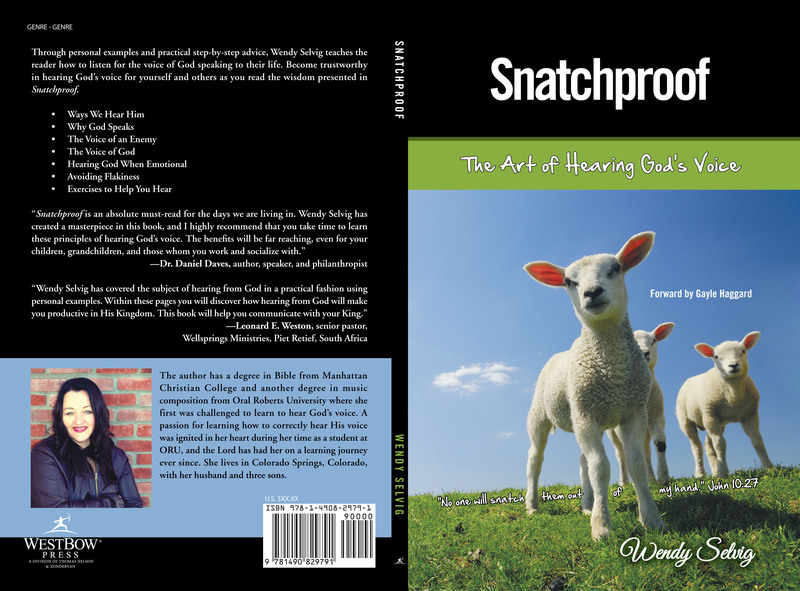 If you need another tool to help you in your journey for hearing God’s voice, get a copy of my book, Snatchproof, The Art of Hearing God’s Voice. It’s available on Amazon, Barnes and Noble and at the publisher’s site, WESTBOW PRESS. Previous Post God Speaks in Many Ways – This week it was a dream. Love it, love it! I’ve been 2 way journaling for 15 years now and first learned in the course I took over seas. It changed my prayer life and relationship with God forever!! I post most of my jounalings on my blog. Hugs to you my friend.